The Stupa for World Peace and Environmental Harmony has been wrapped up for the winter. This protects it from the harsh winter conditions experienced at Spokin Lake. A stupa is a holy monument in the Buddhist tradition that contains many sacred objects such as statues, texts, and relics of highly realized masters. 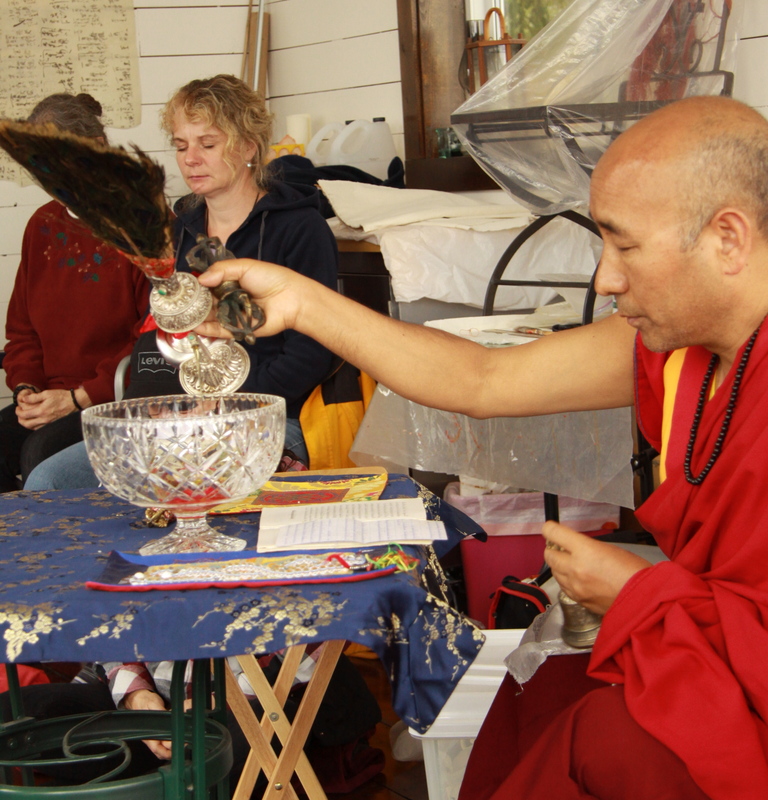 The shape of the stupa represents the fully enlightened qualities of the Buddha’s mind. Each aspect of a stupa symbolically reveals how one’s mind can be purified and developed, finally reaching full enlightenment. 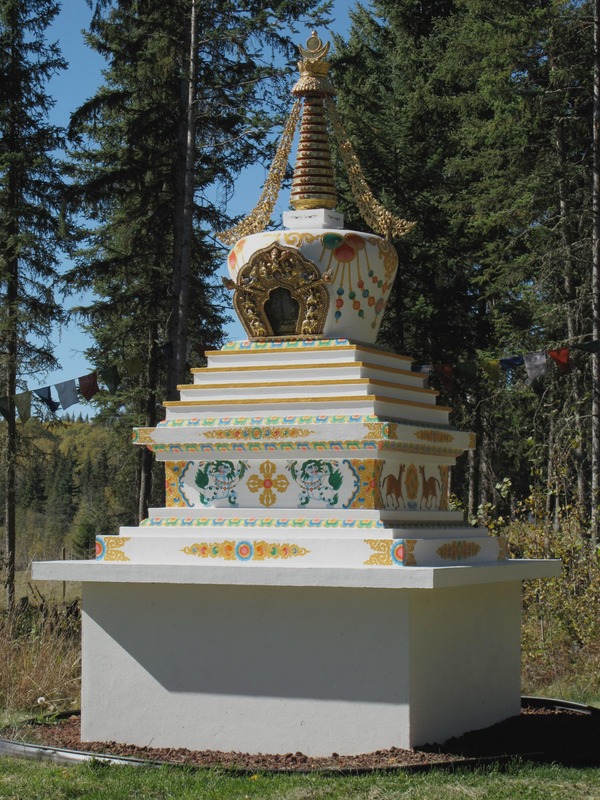 Visitors are welcome to visit the stupa, which is located on private property at Spokin Lake. Contact us to make arrangements by calling (778) 412-7780 or emailing gendundrupba@shaw.ca.